GOVERNMENT has urged the Zimbabwe Human Rights Commission (ZHRC) to be impartial and investigate matters without bias, as expected of an institution set up to strengthen democracy in the country. ZHRC is one of several independent commissions established in terms of the Constitution. In a report, the ZHRC staked a number of claimed abuses by the State including over detention of those arrested, indiscriminate targeting of people for arrests and assault by the security forces, violation of right to privacy when police and soldiers allegedly intruded people’s homes at night looking for suspects and denial of bail to suspects by the courts. 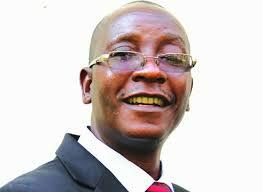 The Minister of Justice, Legal and Parliamentary Affairs, Cde Ziyambi Ziyambi, yesterday said the report was not properly investigated and was overtly biased. “Government has taken note of the Zimbabwe Human Rights Commission report. The Zimbabwe Human Rights Commission is a constitutional commission put in place to strengthen our democracy. There is therefore an expectation that they would be impartial and speak without bias. “Their report falls short of that standard as it based not on thorough investigation and only covers the period after the first two most anarchical days of the disturbances,” said Cde Ziyambi. He, however, said Government will engage the commission. “Government expects our constitutional commissions not be polarising by making broad and unsubstantiated accusations without caveats or evidence. “In the interest of fairness and justice Government will engage with the Zimbabwe Human Rights Commission in order to map the way forward for the benefit of the people of Zimbabwe,” said Cde Ziyambi.